It’s time to disband the FBI. What’s our political speech turning into under Trump’s presidency? (TFC) – How readily will the American press and the voting public react and welcome the new government dialogue? It will inevitably be used to change the way we think, act, and live in the future. A Republican U.S. Representative in the House of Representatives member from Florida used a word commonly used in authoritarian countries on Tuesday, Dec. 26. Francis Rooney told MSNBC’s Hallie Jackson that he feels leaders at the Department of Justice and the Federal Bureau of Investigation need to “purge” those under their authority who are deemed “politically biased against President Donald Trump.” Rooney, who represents Florida’s 19th Congressional District, was eluding to the anti-Trump text messages sent between former FBI agents Peter Strzok and Lisa Pagea. They were collaborating about the DOJ’s special investigation into allegations oFf collusion between Trump and Russia. Rooney admitted that he had no concrete knowledge of any FBI or DOJ official having a bias against Trump and Trump’s administration. This is very confusing and the actual intentions are stark and foreign to the way Americans speak and think. This is the same vernacular political lingo used by officials in a totalitarian regime. It’s a poor word choice for an American congressman to be using. It’s not a mistake, either, it’s another semantic card-up-the sleeve that Donald Trump and GOP leaders have been using to brainwash and infiltrate the American political vernacular with – and it’s the same word used of Joseph Stalin, who ordered a purge of Leon Trotsky and many other key Russian leaders, along with tens of millions of Soviet citizens. An important figure in the Bolshevik Revolution, Trotsky moved from country to country trying to evade Stalin’s wrath. He was finally invited to move to Mexico. “Trotsky was the first, and on the face of it the most dangerous of Stalin’s opponents”. When Stalin was put into power, Trotsky did not agree with his policies and soon spoke out against him. Trotsky was a part of the left opposition and in 1929 was deported from Russia because he wanted more bureaucracy in the Soviet Union and opposed the policies of Stalin,” according to this biographical sketch written by Justin Ramos-Flynn. Finally, in 1940, Trotsky had a Russian agent go to Mexico to seek out Trotsky and the man responsible for a unique and very different set of political beliefs (dubbed Trotskyism), was finally killed and silenced. This is a collection of words that many feel is an attack on science. How can “diversity” be a terrible word for government officials to use while using that horrid word associated with killing one’s enemies and even genocide, like “purge” be a good word for our government workers and federal leaders to incorporate in their legalese, and even in their everyday correspondence with other government workers? 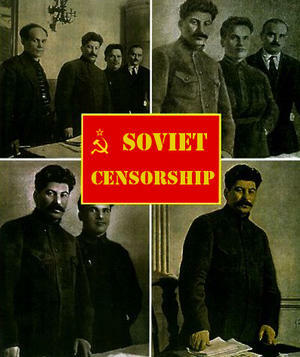 “That horrible word, “purge,” is most closely related to the Soviet Union under Joseph Stalin. When describing Adolf Hitler, this word is oftentimes used of the Fuhrer’s genocide, but it never became incorporated so much in the German vernacular as it did the Russian colloquial speech. It was used to describe “The Trial of the 16,” in which the lives of Grigori Zinoviev and Lev Kaenev were slain, by order of Stalin. Stalin promised these two men that their lives would not be taken if they simply confessed to subversive acts against Stalin and his Soviet Union. It turned out that Stalin went back on his word and had these two men tortured and killed. Other trials, which were mainly kangaroo courts in which Stalin’s political opponents were condemned to death, included the Trial of the Anti-Soviet Trotskyist Center, and the Trail of the Twenty-One. Justin Ramos-Flynn also succinctly tells what the Moscow Trials entailed, and Stalin’s rationale for using torture, death, and the worst forms of incarceration in Soviet labor camps to take care of his political enemies. “An important event to consider when looking at the Great Purge were the Moscow Trials. These trials had all the old Bolshevik leaders excluding Trotsky and Stalin. Stalin wanted not merely to kill his old opponents but to destroy them morally and politically. These were three trials. The Trial of the sixteen, the Trial of the Anti-Soviet Trotskyiist Center, and the Trial of the Twenty-One. These trials focused on different people being accused for certain crimes. Stalin an Kikoli Yezhov, head of NEVO or the secret police at the time take control of the trials and to get confessions out of the defendant by any means necessary. So, has Russian political colloquial way of saying things made an impact on the American political and social landscape? Sure, it has. And although Congressman Rooney’s use of the word “purge” most likely may just be written off in the coming days as just poor word choice by Rooney, most of us know it is a planned attack on our very political fabric. Yes, words do matter. And so, I will simply write off this entire episode as a blatant example of the GOP attempting to weave a completely foreign way of speaking into our vernacular. It’s part of trying to establish a totalitarian and authoritarian regime. By accepting this word, we accept what it means. The way we talk is the way we live. Will Trump’s tax cuts lead to mass death in the future because millions will be uninsured for medical care Ironically, the states hurt most through the mass death of a substandard health care system will be the states whose constituents voted Donald Trump into the Oval Office. Is it going to be used in history to describe the American genocide that is expected to come about, just as the word “purge” is used in Russia to describe the largest human catastrophe of Stalinism, the great famine of 1930-1933, in which at least five million people died? This is another reason using the word “purge” to describe “draining the swamp” within our premier, leading, federal law enforcement agency and top legal bureau is troubling. After all, if the GOP under Trump is so adamant about passing a tax reform bill that is expected to lead to the deaths of more than 23 million Americans, how else might the word “purge” be used in the future, even in our history books? What did the President say and when did he say it? The full text of Comey’s statement. Stand With Ross Ulbricht. Shun His Tormentors. Operation Honey Badger: How did China kill or remove more than 20 CIA assets?